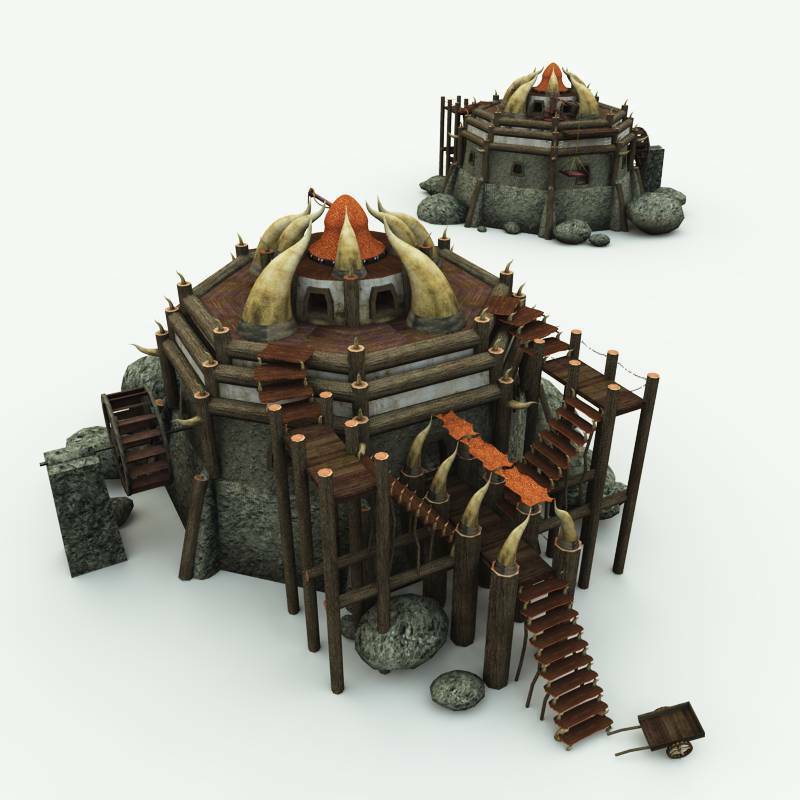 Orc Village Volume 1 is the fantasy series of 3D models from Meshbox Design. An updated release now includes optional higher resolution texture, bump and normal maps ranging in resolution from 1377x1377 to 4069 x 4069. The complete edition includes seven models also available individually, as well as a bonus model, Orc Village Bone Carver, home to the dark shaman. The series is available for 3D Studio MAX (in the PRO version allowing for real time playback in games), Poser / DAZ Studio, Vue, Shade 3D, Bryce and now, Blender. Customers who previously licensed the set after August 1, 2016, and those who previously licensed the Orc Village Volume 1 PRO Edition set are entitled to a free upgrade. Any who licensed before August 1, 2016, can upgrade at a $30 savings if they follow the instructions on a promotional emailer sent to them. 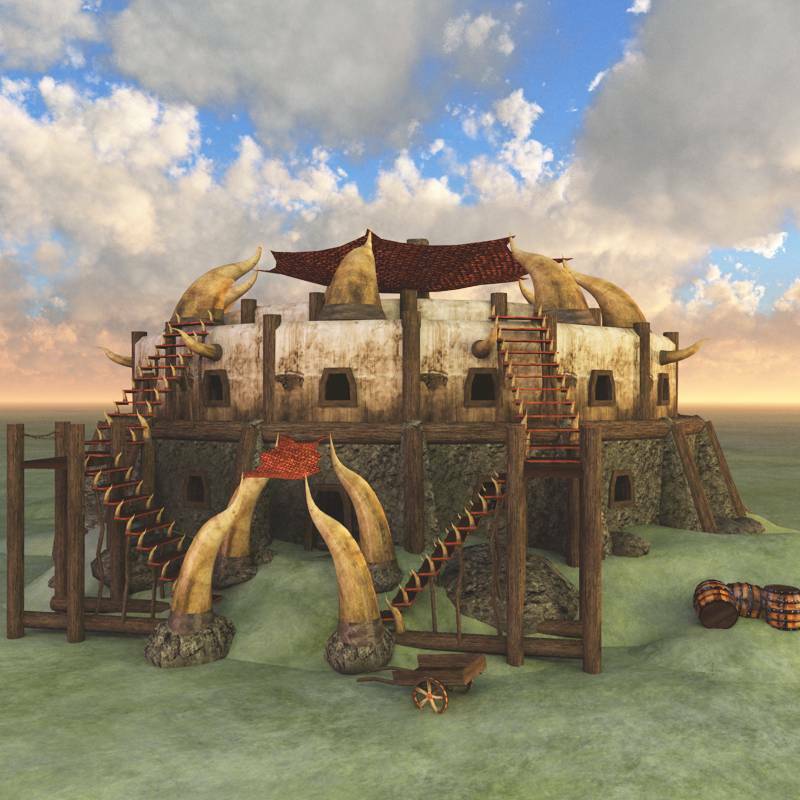 Details are available on the Orc Village Volume 1 update 17.08.09 tech note..
Orcs are every bit as industrious as Dwarves, though perhaps more militant. Orc eat coarse bread made of a mixture of grains, and therefore need mills to make their flour. 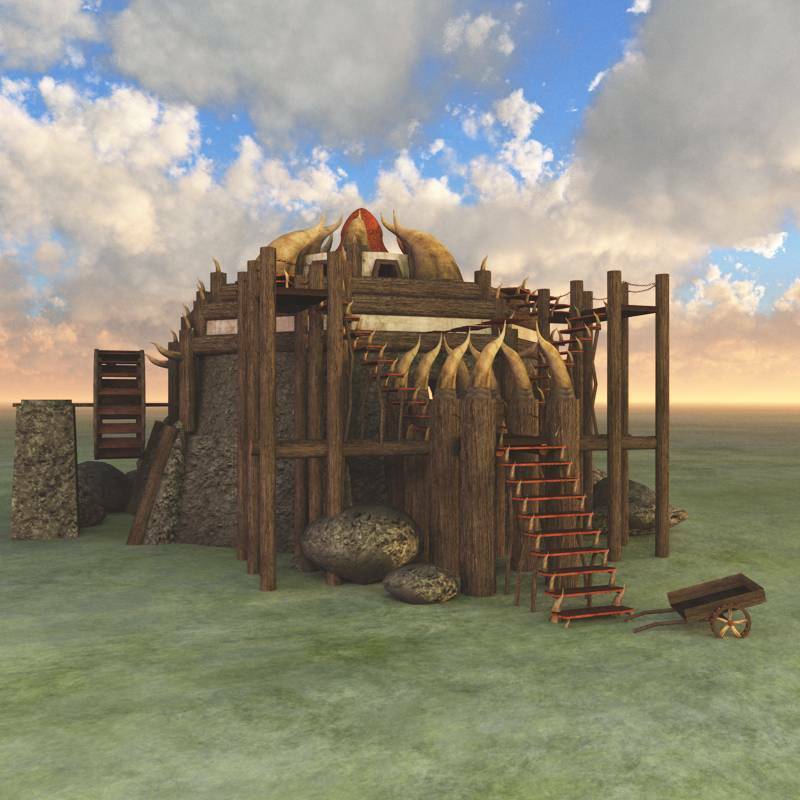 This watermill is decorated in typical red dragon leather and totemic horn, with several military walkways, each of which is easily defensible, built out of hard, native stone. Inside, a full, multi-level mill, with a pulley system to bring up bags of grain from below. 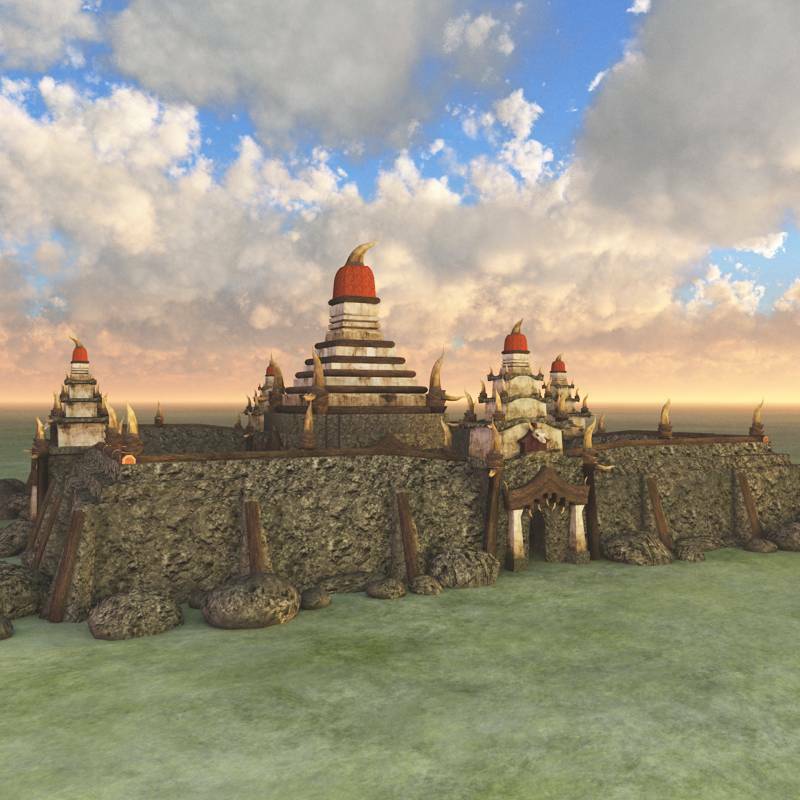 Includes a 54 file high resolution texture pack that includes diffuse texture maps, bump map and normal map replacements with sizes from 1377 x 1377 to 4096 x 4096. Some say they are corrupted elves, others the spawn of an evil god - but that's not what the Orcs say! 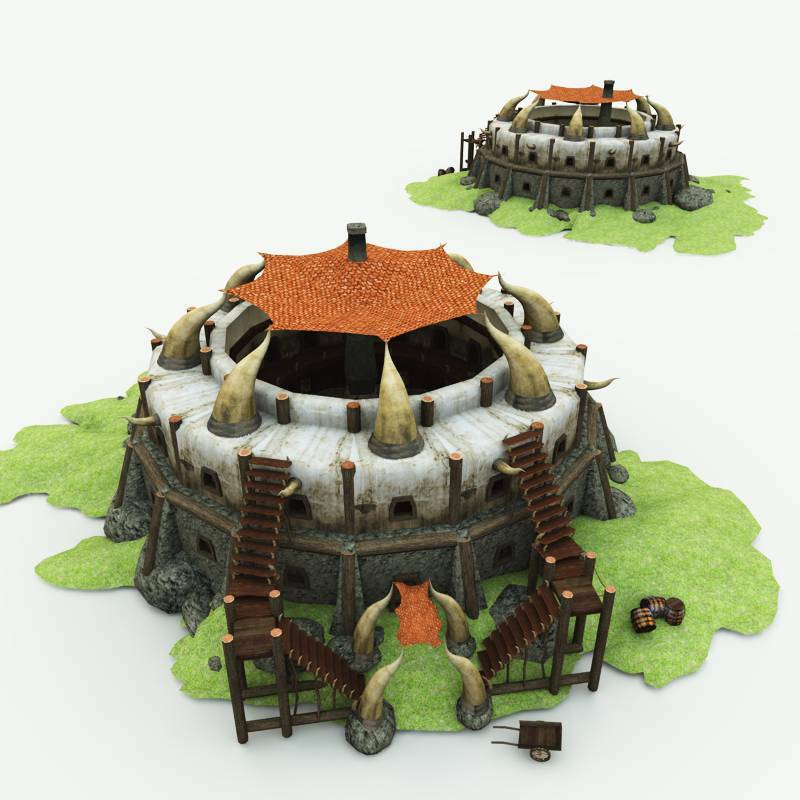 Orc Village Volume 1 R2 is a set of completely furnished and textured 3D models depicting the lives of Orcs - the classic pig snouted ones, dark skinned brutish speaking ones or even wolf eared ones. Order each model individually or collect the entire series. 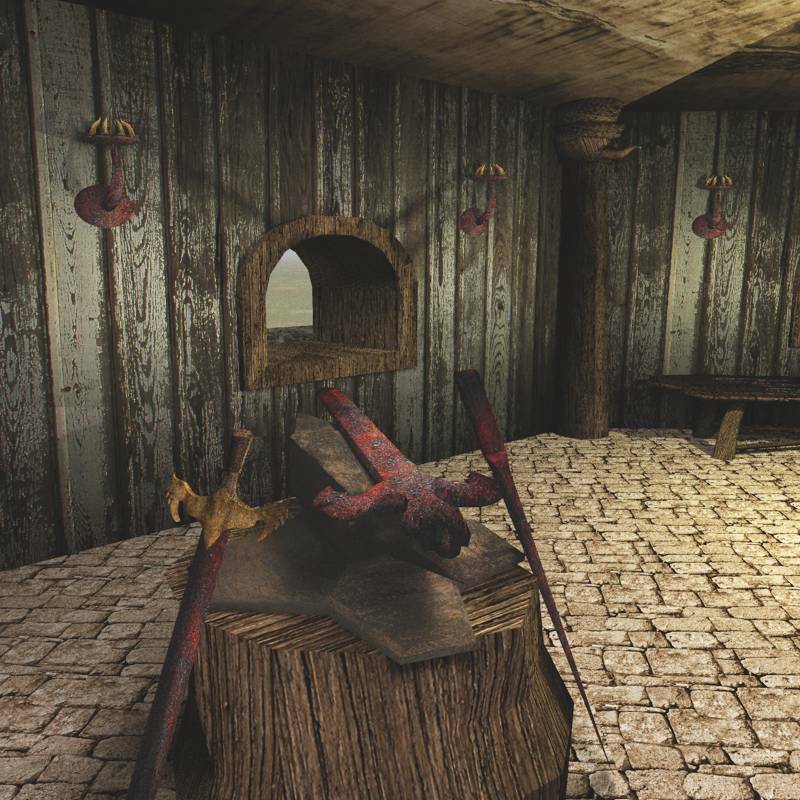 Like all orc public buildings, orc inns seem to celebrate combat and victory. 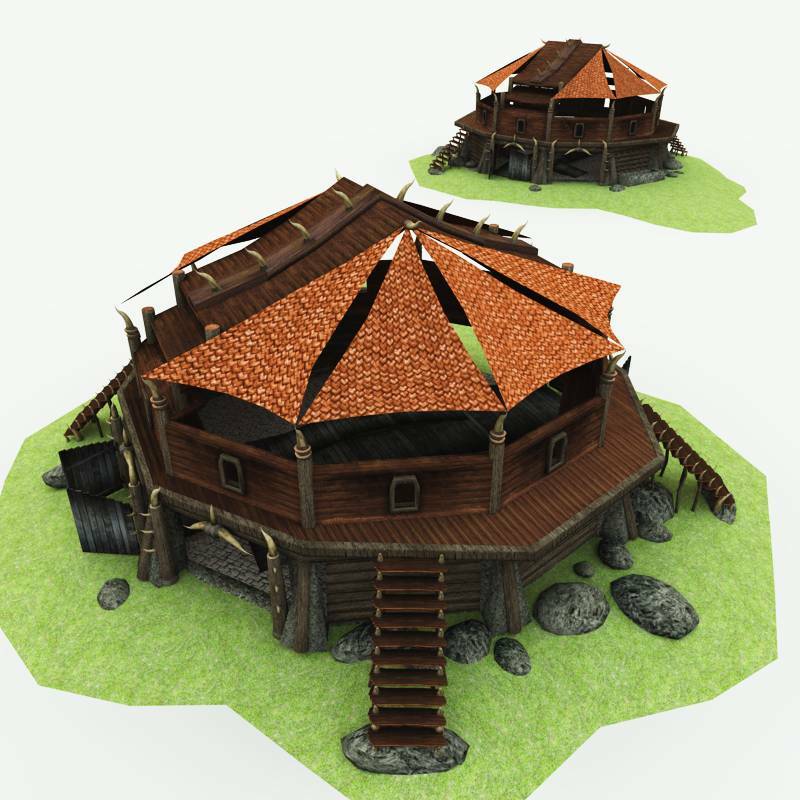 Built of heavy, defend-able stone and decorated with dragon skin and horn, the inn has a open air bar and barbecue pit (and informal combat arena) with a circular dining hall and comfortable private rooms. Rooms come equipped with skin beds and seats, and a painting showing some primordial scene. This model is now available for Blender, as well as 3DS MAX, Poser / DAZ Studio, Vue, Shade 3D and Bryce. Orc Churches or Temples are much like the rest of Orc culture - celebrating violence, tough, defensible and covered with horns! 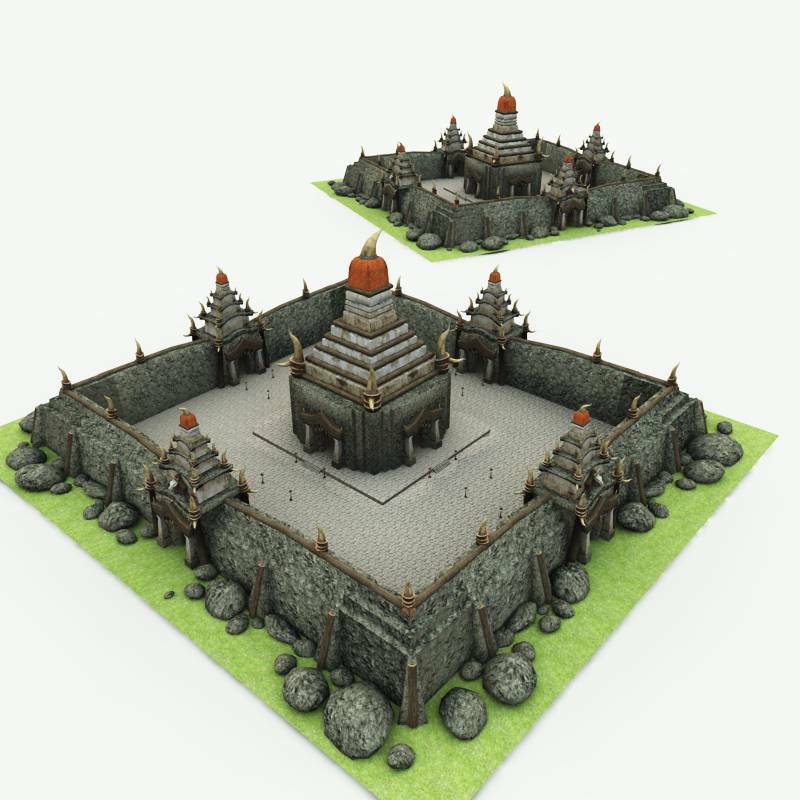 The outer protective walls have four ornate gateways, leading into a lit outer courtyard. Inside, a great hall, with a giant sacrificial cook pot and four of the gods of the Orcs with precious jewels. The hard working orc blacksmith is perhaps the most respected person in the village after the shaman, since without the blessings of the smith, your blade may splinter and crack in battle. 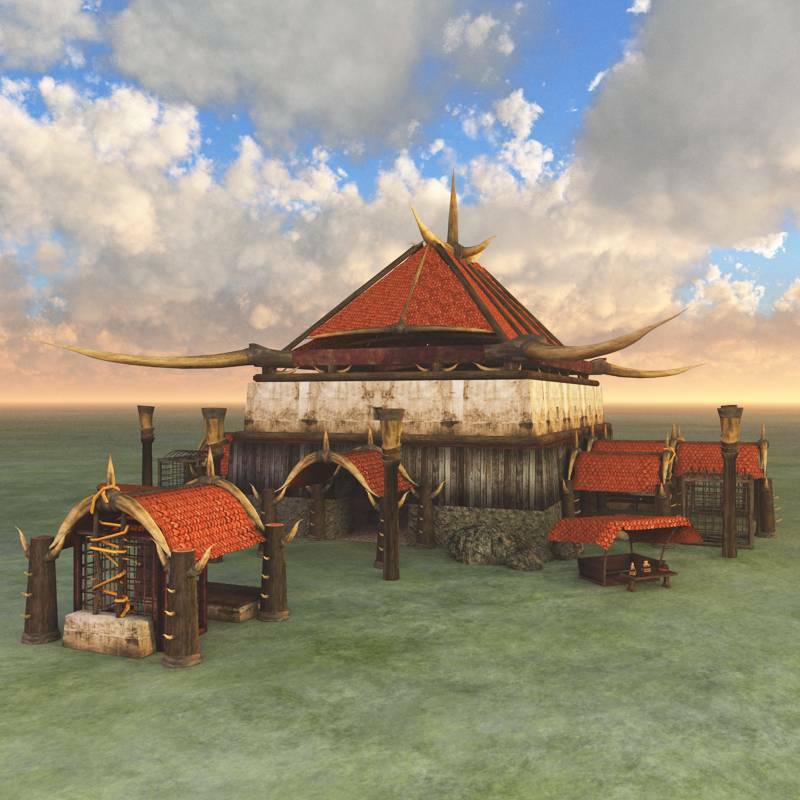 Designed for open air during some seasons and covered in others, this building has a tent-like dragon skin roof, with prime horn decorations and orc lamps throughout. A large forge and anvil, as well as a pump for cooling water are in top shape and in constant use. A table nearby has small tools for delicate work. This model is available for 3DS MAX(in the Pro Game Development version), Poser / DAZ Studio, Vue, Shade 3D, Bryce and now Blender. 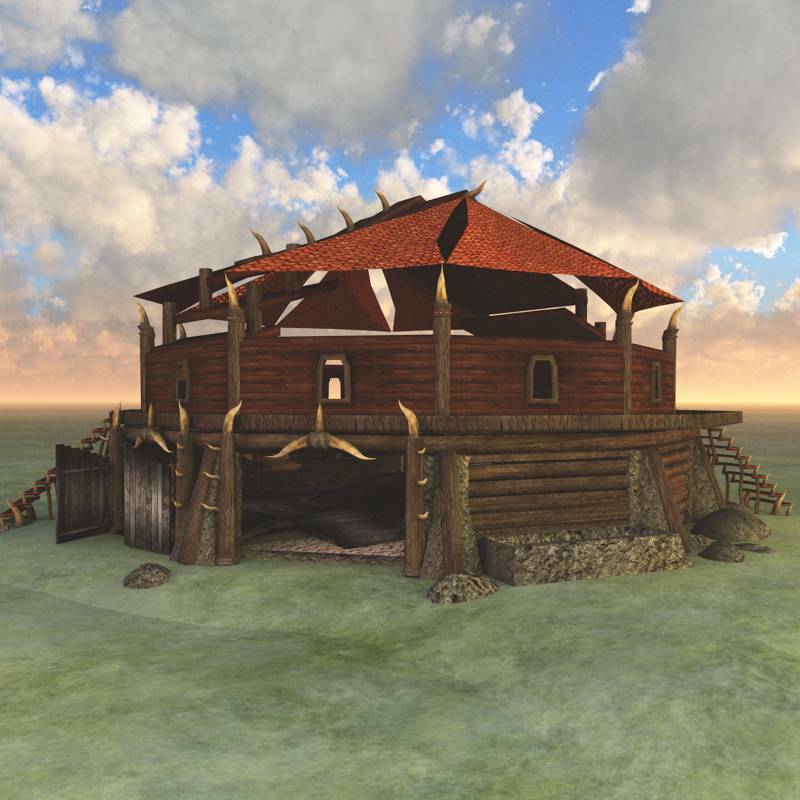 The Orc Village Woodcutter building is one of the busier buildings of the village. Multiple entries allow access to a saw machine (including a new, potentially dangerous portable saw machine), and ample room to trim planks. A large pile of logs is already inside. The outside is decorated in orc fashion with dragon skin, horns and more. 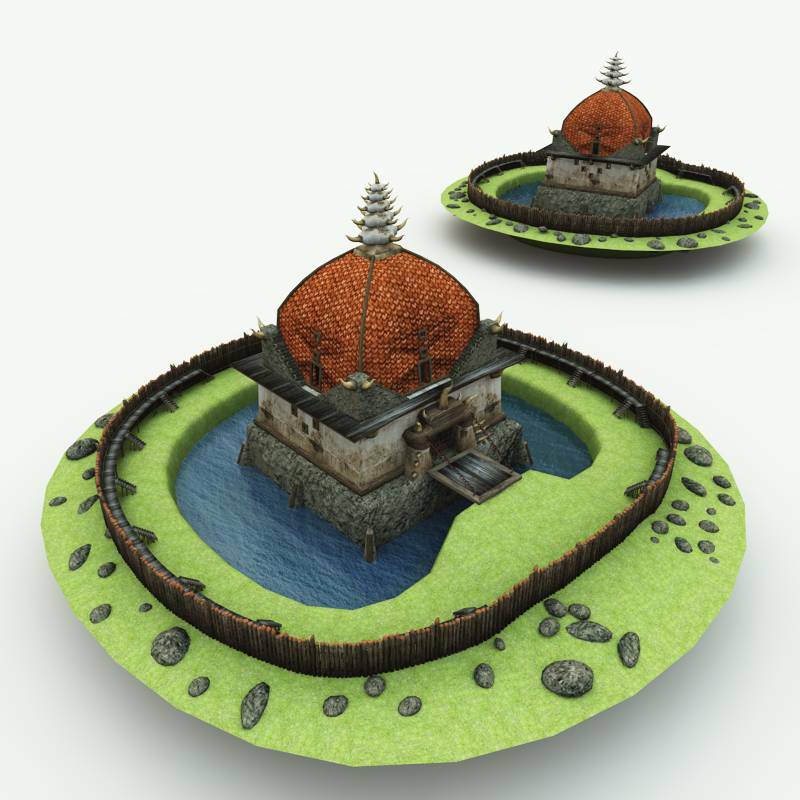 This model from Meshbox Design is available for 3DS MAX(in the Pro Game Development version), Poser / DAZ Studio, Vue, Shade 3D, Bryce and now Blender. 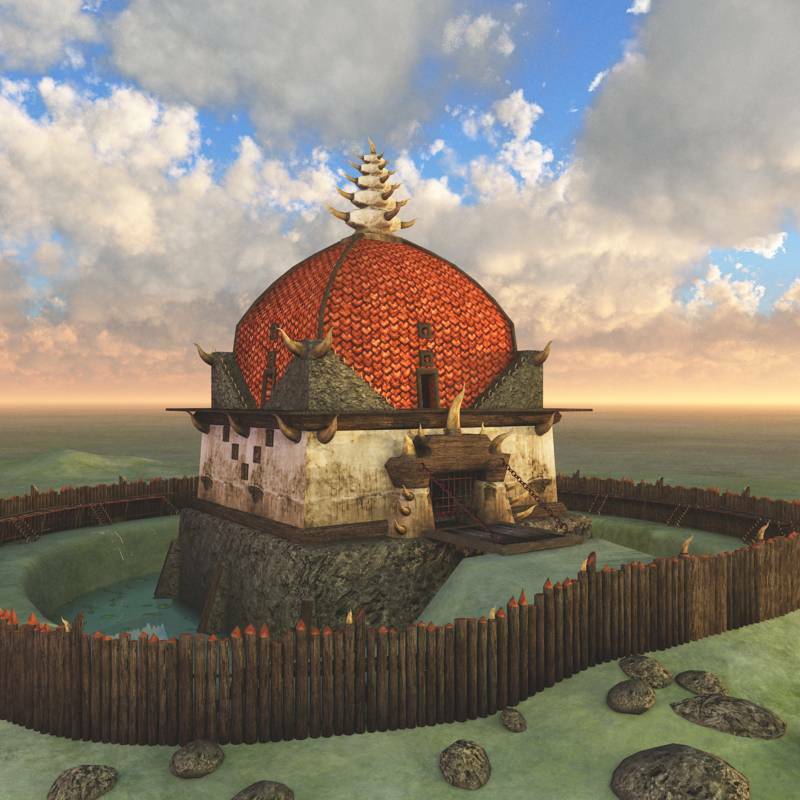 The Orc Village Guardhouse is a small fortress, surrounded by a moat (with drawbridge), and in turn, surrounded by a wooden palisade. 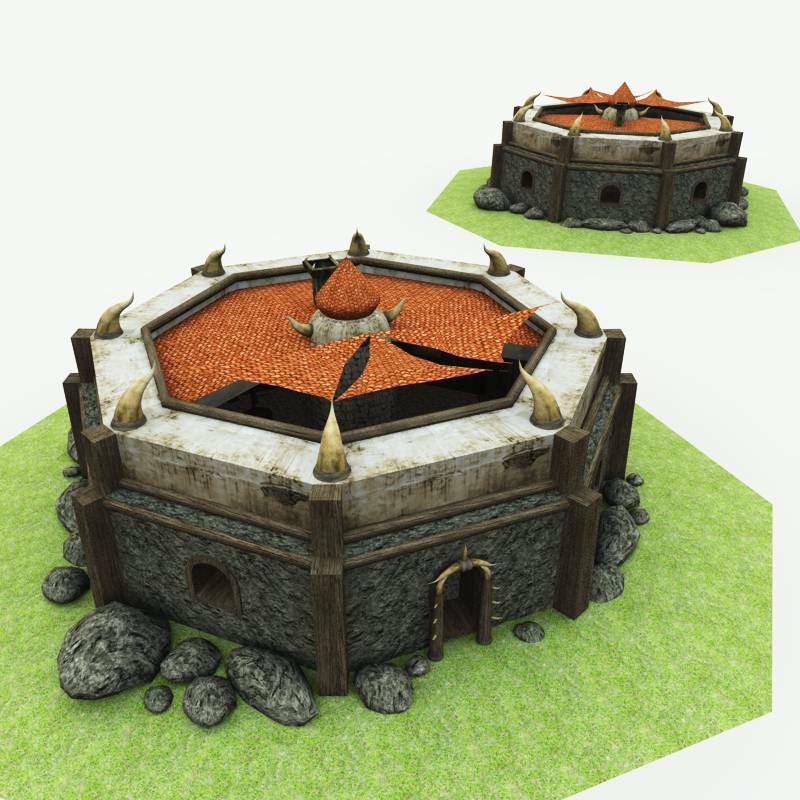 Capped in red dragon skin, the guardhouse is highly secure, with hot oil pots to greet those who are mighty enough to penetrate the first floor. The Orc Village Market is the center of the community like others, though perhaps grimmer with the regular trade in slaves. 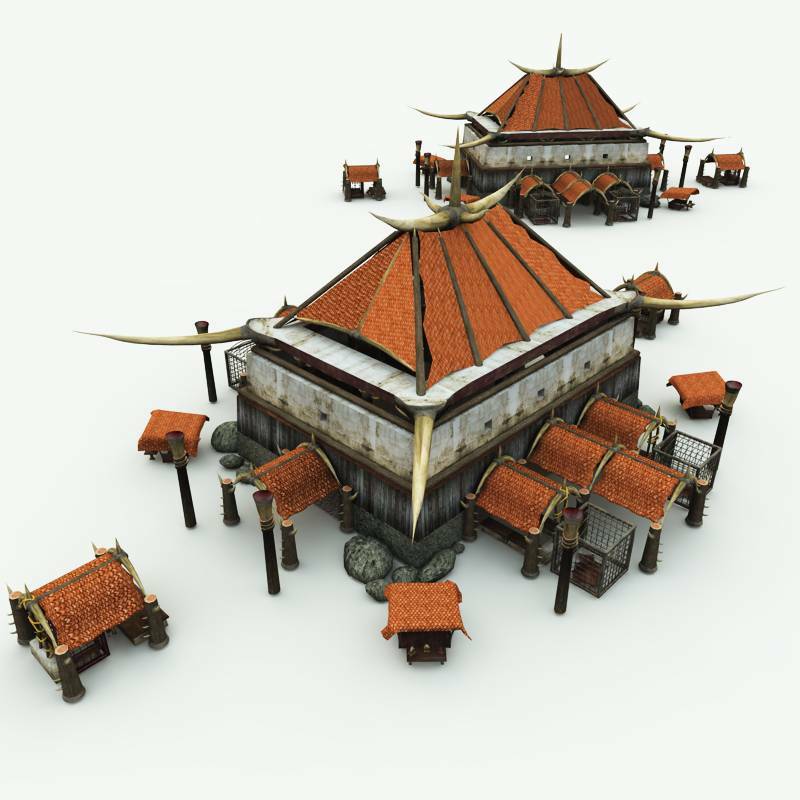 A large central building, housed in horn and dragon skin, has benches where customers can sit, and merchants can offer them goods to sell. Outside, numerous sales tents are pedaling idols, meat, swords and slaves. A boisterous place that is both exciting and dangerous for non orcs. This model from Meshbox Design is available for 3DS MAX(in the Pro Game Development version), Poser / DAZ Studio, Vue, Shade 3D, Bryce and now Blender. 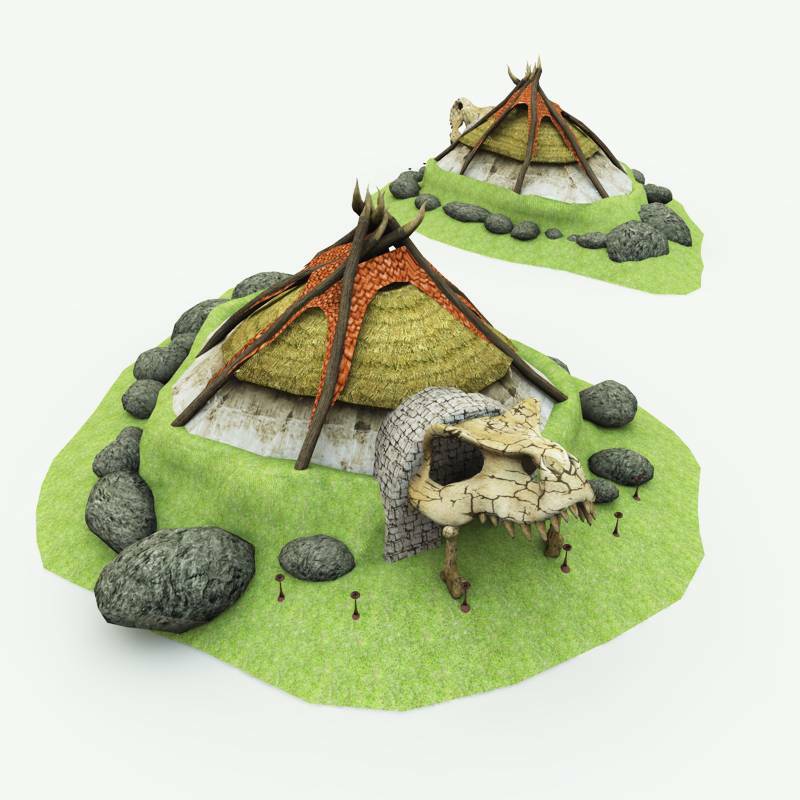 This model is the bonus model of Orc Village Volume 1 and not sold separately. The Orc Village Bonecarver is the spiritual leader of ancient orc tribes before they met with the evil gods. His hut is made of dragon skin, and also with the bones of dragon which he has slain himself, or was slain by an ancestor.